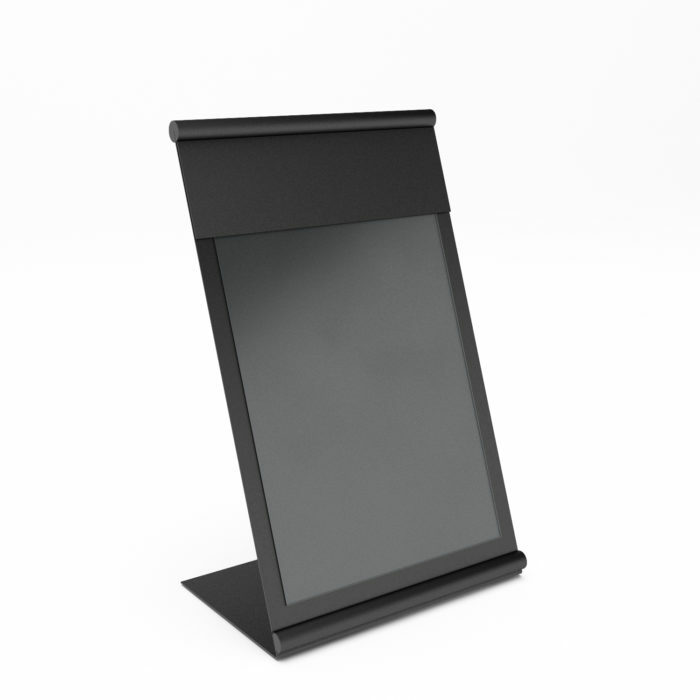 Countertop display fixture with magnetic lift-up MagaLens® cover. Insert size: 11"h x 8.5"w (full insert visible). Changeable MagAlign® header included. Contact Customer Service for header imprint information: 800.203.0301.